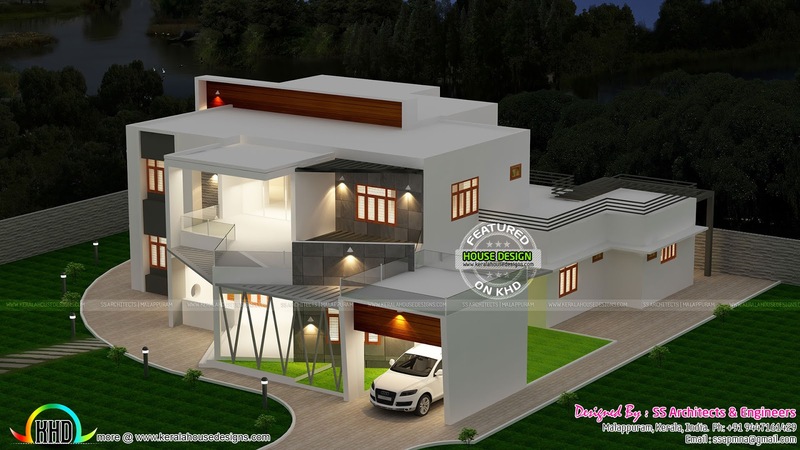 5781 Square feet (537 Square Meter) (642 Square Yards) luxury home in contemporary style. Design provided by SS Architects & Engineers, Malappuram, Kerala. Ground floor area : 3530 Sq. Ft.
First floor area : 2251 Sq. Ft.
Total Area : 5781 Sq. Ft.
0 comments on "Beautiful top view of contemporary house"